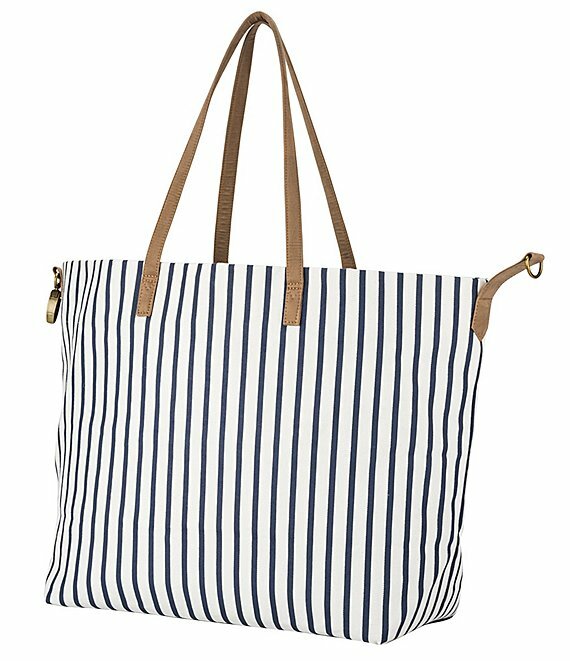 Personalize this must-have Striped Overnight Tote with a custom line or a monogram to make it uniquely yours. This roomy bag comes complete with faux leather hand straps and a unique metal closure. The large, green main compartment adds a pop of color and is complemented by both interior and exterior zippered pockets, perfect for storage of all your necessities.